Whether it’s the bricks, the theme park, the films or TV series, my kids, Edie and Arlo, like most children, absolutely love LEGO (despite knowing just how debilitating it can be to my bare feet – cheers kids). So, when Edie and I were given the opportunity to check out LEGO’s new ‘Create The World Incredible Inventions Official Collector’s Album’ that’s available exclusively from Sainsbury’s nationwide, we jumped at the chance. Edie even remembered the cards after last year’s craze, so to be given the opportunity to review them before they hit Sainsbury’s shelves (available now) was obviously a no-brainer. We’re away at the moment, in Puglia, Italy, surrounded by rows and rows of olive trees to explore. It’s the perfect place for a young, intrigued and explorative mind like Edie’s, she’s definitely an investigative child who likes to understand her surroundings and their history, whilst also building a collections of treasures from the land around her – leaves, shells and er, dead lizards, so having a collector’s album like this from LEGO suits her down to the ground as a way to pass the time when clouds are looming or the surrounding land is all out of dead lizards. Edie spent the second morning of our holiday (clouds loomed large) working her way through the album, inserting the cards, and then enjoying hearing about cool inventions and innovators from pre-historic times right up to today and into the future. 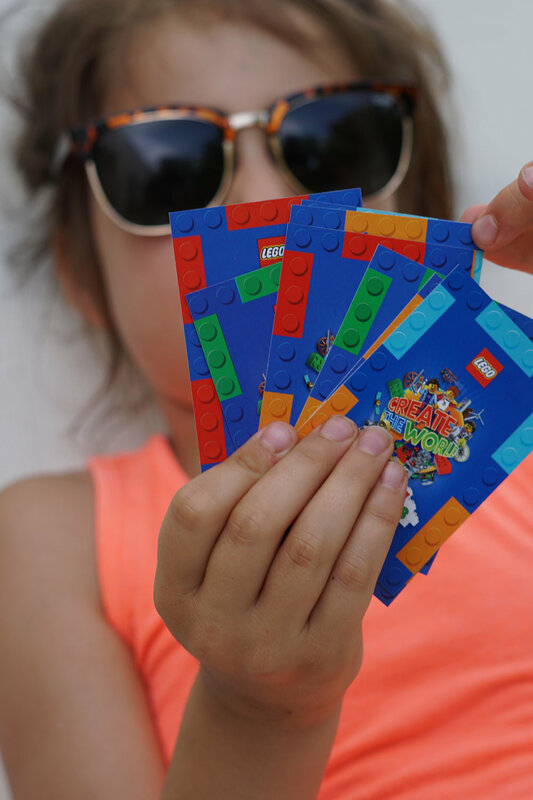 The album offers children an interactive way to learn, away from computers, by exciting them with collectable cards and then exploring the relating information from that period in history – the often comical quotes that feature alongside each card keeps things fun, as do the challenges to create LEGO constructions. Add these educational benefits to the thrill of hunting down scarce cards every collection such as this tends to have (playtime ‘swapsies’ anyone? ), and it’s easy to see why there was such a craze for these before. The official collector’s album is available from Sainsbury’s for £2.50 and includes two free packs of collectable cards. 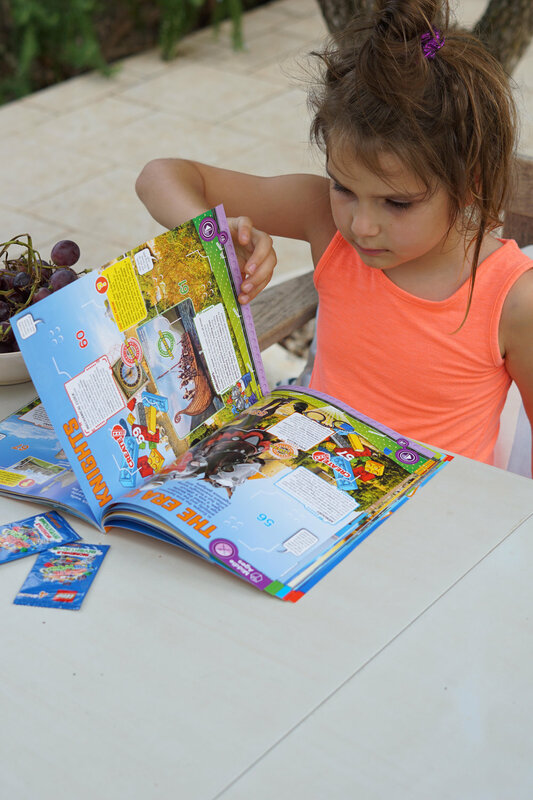 Furthermore, a four pack of cards can be bought for 50p and a free pack of cards is available for every £10 spent in store or online – now it makes sense why Edie’s been asking if there’s any Sainsbury’s stores where we’re staying in Italy. Afraid not, but it won’t be long before we’re home and she can continue her collection of cards… and thankfully end her collection of dead lizards.